I have recorded videos and given plenty of written interviews, but this was my first podcast interview... and it was a lot of fun! I love football trading, so the next best thing to doing it is talking about it! When Dave asked me if I would like to be interviewed for his Betcast series, I jumped at the chance. I talk about how I got started as a football trader, the (numerous) mistakes I made and how Goal Profits came about back in September 2011. I then discuss correct score and lay the draw﻿﻿ football trading, the evolution of Team Stats, Kevin Laverick's incredible trading experience that he brings to Goal Profits, the upcoming World Cup and probably more that I have managed to forget. Let me know what you thought of the podcast and please excuse my terrible headset, I must get myself a new one. Many thanks to Dave for the opportunity to talk about football trading - my favourite subject - I could have gone on for much longer! Note: This interview was recorded back in 2014 and a lot has changed since then. There are now 16 Betfair trading strategies available to members, a 16-week 'Launchpad' football trading course and our Team Statistics software has many new features. Our constant development work ensures that Goal Profits members continue to enjoy a huge advantage over everyone else trading on Betfair. Kevin Laverick had an extremely tough introduction to Betfair trading. Here's his full story from losses and an ultimatum, to professional football trader. 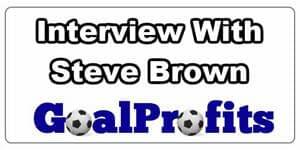 Steve Brown is a professional football trader who launched Goal Profits in 2011. Here is his story from BP employee to full-time trader. Nice interview and nicely put across… Made me come over to the site and grab a membership. Member care is second to none. 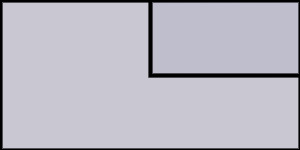 I can see me being here for a very long time!!! Thanks Lee, very happy to have you as a member of our trading community!